The Mobeye ThermoGuard TwinLog, CML2275, is a sturdy and compact temperature monitor for industrial, pharmaceutical, retail and other professional environments. With a track record in monitoring the temperature of vaccines and industrial coolings, and winner of the ETOP Award 2015, the Mobeye ThermoGuard TwinLogs offer reliable and cost-efficient temperature logging and alarming. As soon as the measured temperature falls outside the set limits, the ThermoGuard TwinLog immediately sends temperature alarm messages. In addition, he can log the continuously measured values ​​and send them to the (optional) web portal. With the additional NO / NC inputs and an output it is also possible to, for example, place a magnetic contact on the door or attach a large lamp as an alarm indication. The CML2275 has an integrated GSM module and is designed to work on batteries. With external power supply, the CML2275 also works as a power failure alarm. The CML2275 only needs a SIM card for use. 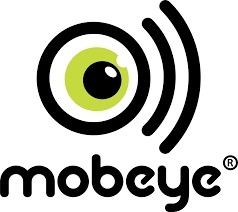 A Mobeye SIM card and registration in the Internet Portal offers the user extra functionality. The temperature values ​​can be logged with their own chosen frequency and sent to the web-based Portal with an adjustable synchronization interval. Alarm messages can lead to telephone calls and also be sent to contacts as SMS and / or e-mail.